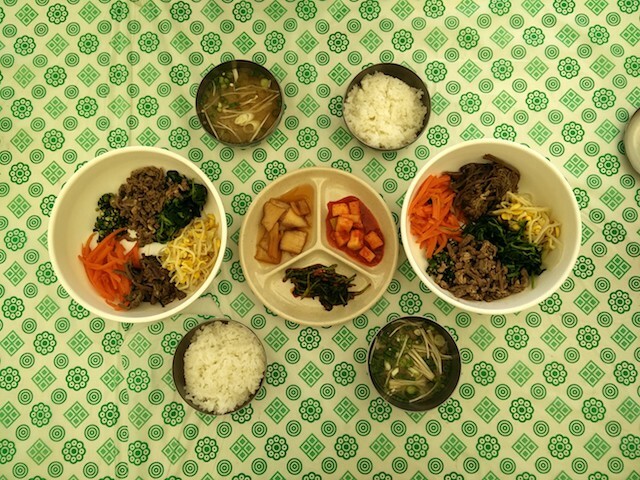 Spring and Summer seasons in Korea are filled with festivals, from music to food and art. 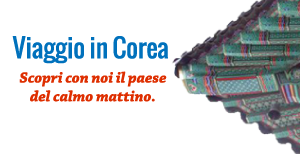 Jeju, the beautiful island located south of the Korean peninsula, has many interesting festival every year during these seasons. Spring in Korea is known for its iconic images of trees and flowers, like cherry, lotus and canola, blooming across the country. 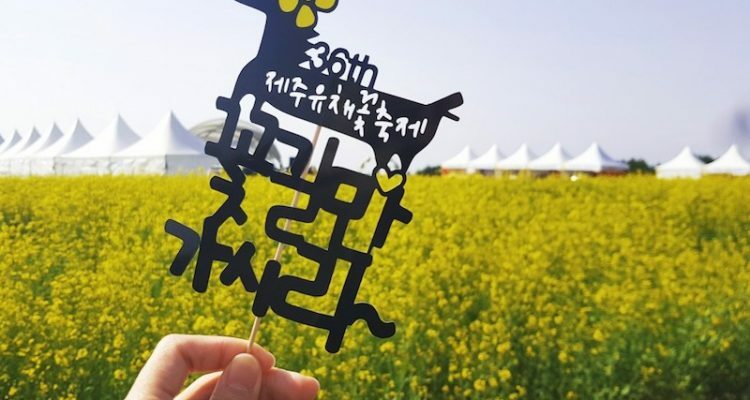 The 36th annual Jeju Canola Flower Festival, with the theme “Hope for prosperous future” was held from in April for seven days from the 7th until the 15th, near the city of Seogwipo. 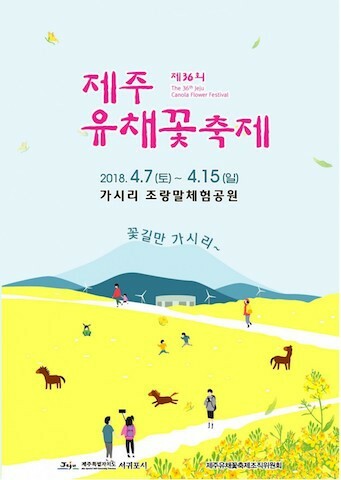 A unique festival since is the only one in the world celebrating the blooming season of canola flowers (In Korean, the canola flowers are called yuchae – 유채꽃) and it has been running continuously for the last 36 years. 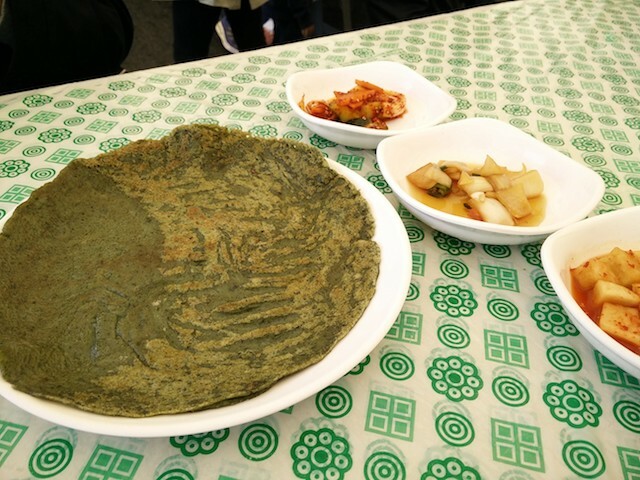 The program included many experiences, from canola flower crown making, cooking workshops – Jeju buckwheat pancake and rice cakes making – and horse riding, another traditional activity from Jeju. 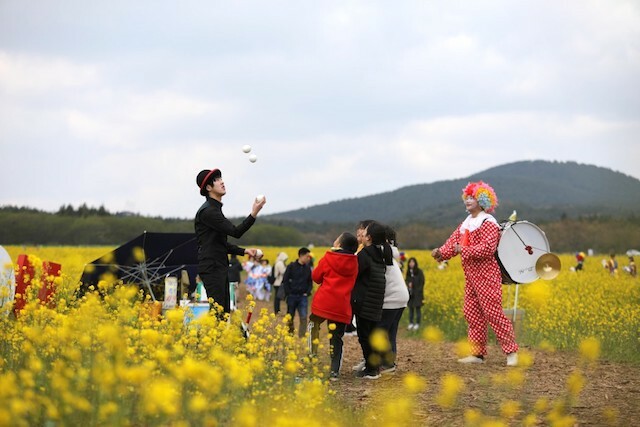 There couldn’t be a festival without a music performance, so the Canola flower festival included singing, dancing contests and performances by local artists. 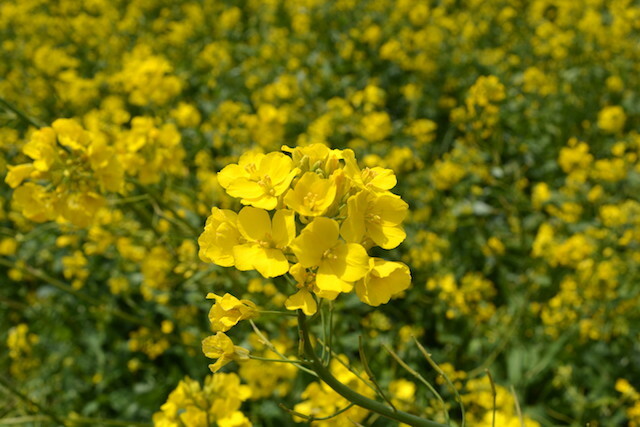 The festival was popular with locals and many came from other part of the island to enjoy the beautiful view of the canola fields, experience many fun activities and indulge in delicious food from farmer tradition of the island. 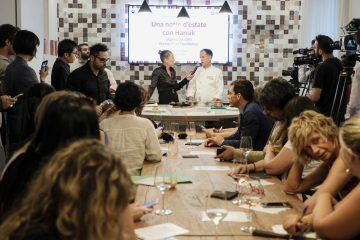 The festival included also a market, where it was possible to try a lot of different food products from local farmers and producers, such as honey, sauces, vegetables and snacks. 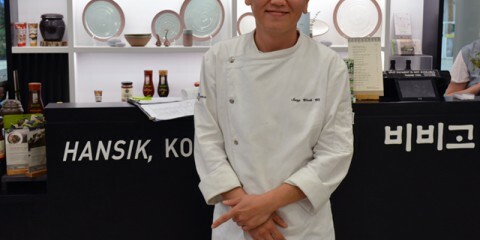 A great opportunity to purchase some healthy and unique products from Jeju. 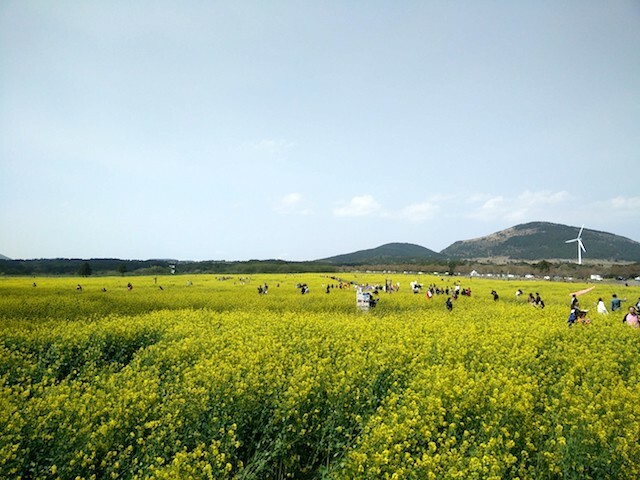 If you happen to visit Jeju in spring, you should include the Canola festival in your itinerary: a great opportunity to experience the rural culture of the island.